1805 Gallery presents Art Above, a rooftop contemporary art exhibition featuring original works of art, installations and performances by emerging and mid-career artists. 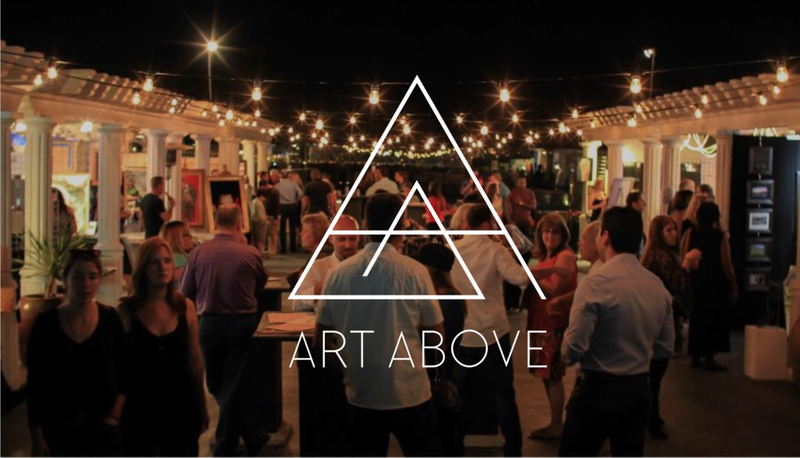 Art Above is an exhibition series that takes place on the 6,000 sq ft rooftop of the Porto Vista Hotel in Little Italy, San Diego. The event is an opportunity for artists to exhibit their work to a larger audience and for an audience to experience original works while enjoying the unique views of the San Diego harbor and Little Italy neighborhood. In preparation for Art Above, artists will present an artist talk a week before the rooftop event. Accompanied with a slideshow presentation, the talks will discuss the artist’s practice as well as the exhibiting works. Porto Vista Hotel’s restaurant the Glass Door will provide a full cocktail bar for guests to enjoy drinks throughout the evening while they navigate through the artist booths. Selected artists will receive a 10' x 10' booth to display artwork and will be featured in promotional materials distributed by 1805 Gallery and the Porto Vista Hotel.